Creative Prose Publishing is happy to announce the anticipated sequel to Shadow of Life from Tifani Clark. Haven Waiting, book two in the Soul Saver series, is going to be available January 12, 2015! But you can pre-order your copy today. Fifteen-year-old Jamie Peters is a Soul Saver. She helps ghosts finish their business and move on. When a mysterious map comes into her possession, she knows a new adventure is waiting. With the help of her friends, Peter and Camille, she follows the map. Her friends hope to find treasure, but Jamie suspects there is more to the map than riches. She never imagined the map would lead her to Havenâand a book of spells. Haven Mills was accused of practicing witchcraft during the Salem Witch Trials. Unlike the other women hung during the trials, Haven wasnât as innocent as she claimed to be. In one moment of weakness and desperation, she did something sinisterâsomething that has been bringing evil to the world for centuries. 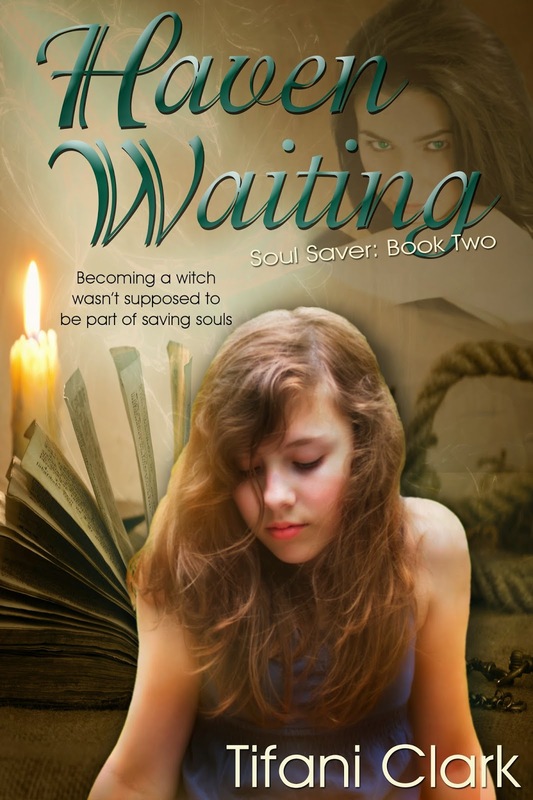 Jamie promises to help Haven, but the reality of what that promise entails comes back to haunt her as she fights not only for Havenâs soul, but for her own as well. Pre-order your copy of HAVEN WAITING today by clicking here! Get SHADOW OF A LIFE Soul Saver: Book One and read it before book two is released!